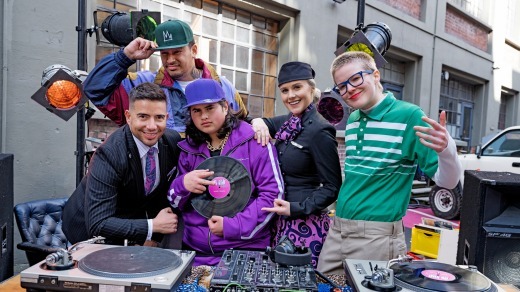 Air New Zealand has released the latest in its ongoing series of humorous in-flight safety videos, this time going for an '80s homage to seminal hip-hop act Run DMC. Launched on Tuesday, the video mashes up Run DMC hit It's Tricky with '90s Kiwi hip-hop act Sisters Underground. It stars local actor Julian Dennison, best known for his starring roles in Hunt For the Wilderpeople and Deadpool 2. The four-minute video features a variety of Kiwi musicians performing the song, while dancing and dressing in the colourful garb of the late '80s. 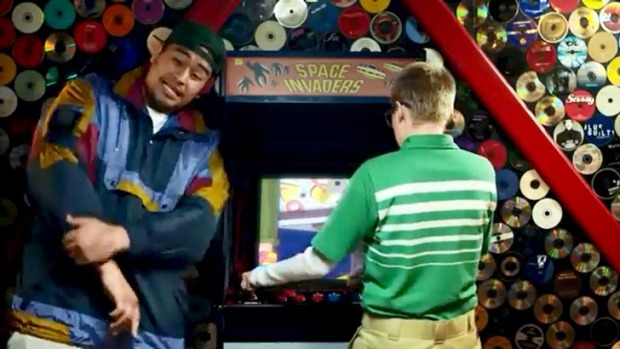 Other '80s nostalgia fodder in the video include a Space Invaders arcade game cabinet and roller skaters. The cast of Air New Zealand's ''It's Kiwi'' safety video. Air New Zealand said this was the largest-scale safety video it has ever produced, with a cast of more than 600 and using locations in Auckland, Wellington, Dunedin, Balclutha, Hokitika, and Naseby in Central Otago. The reception on YouTube, where the video was posted, was less than enthusiastic, with many commenters criticising the decision to make the safety announcements via a rap song. "Can I get a medical certificate to excuse me from watching this nonsense every flight?﻿" was one comment. "Some people won't be able to understand the rapper," wrote Kathryn Williams. "Safety message will get lost. Sorry, Air NZ﻿." "Good Luck to anybody who English isn't their first language﻿," wrote user GamingDads. User "feejan'', who claimed to be a former flight attendant, was also scathing. "As an ex flight attendant who had safety drilled into me this is so terrible," feejan wrote. "I can't make out the safety aspects well. Air NZ treat safety videos as a popularity contest and have been taking away from the safety message for years." Of the more than 100,000 people to view the video on YouTube so far, just under 300 had given the video a thumbs up, while 163 had given it a thumbs down. Air New Zealand has a long history of producing quirky, humorous safety videos that have occasionally been controversial. In 2014, the airline was slammed over its "sexualised" safety video starring Sports Illustrated swimsuit models. In 2016, New Zealand's aviation regulator criticised the airline's "Surfin' Safari" safety video for containing "extraneous material" that detracted from the safety message. Despite the criticisms, Air New Zealand's videos have proven to be wildly popular – particularly those that tied in the the release of hit movie series The Lord of the Rings and The Hobbit, both of which were filmed in New Zealand. Other videos have starred the likes of adventurer Bear Grylls, comedy legend Betty White, actress Anna Faris and comedian Rhys Darby. The success of the videos has seen other airlines attempt to emulate Air New Zealand's efforts, with Qantas introducing videos that highlight destinations and British Airways creating a comedy safety video featuring a parade of major stars.